The Catholic Church honors the saints, holy men and women who’ve gone before us and offer us examples of what it means to live a life centered on God. One place where we hear about the lives of the saints in the Eucharist prayers of the Mass, especially during the Roman Canon. The Roman Canon contains two prayers that honor the saints. We’ve looked at the saints mentioned in the first prayer before. But do you know the martyrs mentioned in the Roman Canon after the Consecration? Fifteen saints are mentioned in the second half of the Eucharistic prayer, the Nobis quoque peccatoribus. We honor eight men and seven women. All of them underwent violent deaths and are honored as martyrs in the Catholic Church. How well do you know these saints from the Roman Canon? The cousin of Jesus, John prepared the way for the Lord and preached repentance before the start of Christ’s earthly ministry. He also baptized Our Lord in the Jordan River. He was beheaded at the orders of King Herod, and pilgrims can venerate his head at the Basilica of Saint Sylvester the First in Rome. After the death of Christ, Stephen became one of the first of seven deacons in the early Catholic Church. Ordained by the apostles, Scripture says Stephen was “full of grace and strength,” and that he “did great signs and miracles among the people.” He was stoned to death, and his body now rests in the Basilica of Saint Lawrence Outside the Walls inside the high altar. After the death of Judas, the apostles looked for someone to join in their mission to spread the good news about Christ to all ends of the earth. They chose Matthias, who was later beheaded with an ax. Pilgrims can visit the head of Matthias at Santa Maria Maggiore, the largest Catholic Marian church in Rome. 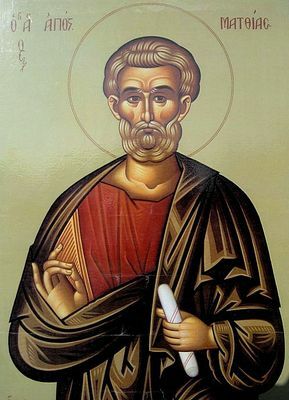 Originally named Joseph, the apostles gave this saint the name Barnabas, which means “son of consolation.” Alongside Saint Paul, he was ordained with prayer and imposing of the hands. After being installed as Bishop in Antioch, he traveled with Paul on mission. After his martyrdom, the saint’s body was discovered in a cave in Cyprus. 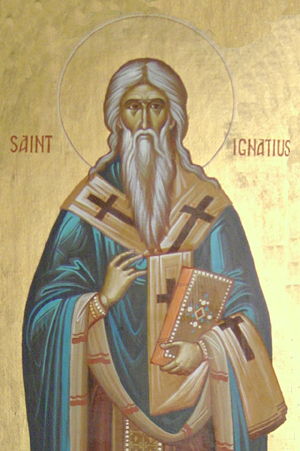 Tradition holds that Ignatius was blessed as a child by Jesus. He learned from the apostles and led the Christians in Antioch. Emperor Trojan sentenced Ignatius to death, and he was was torn apart and eaten by lions in the Colosseum in the year 107. Alexander was the fifth pope to succeed Saint Peter. After leading many to the beauty of the faith, he was beheaded outside of Rome with two other priests. His body is kept in the Church of Saint Sabina in Rome. Marcellinus was a priest, and Peter was an exorcist. Peter exorcised the jailer’s daughter while in prison, and Marcellinus baptized the jailer’s entire family. The two were beheaded outside the city in the Black Forest, but after their martyrdom locals called the place of their death the White Forest. 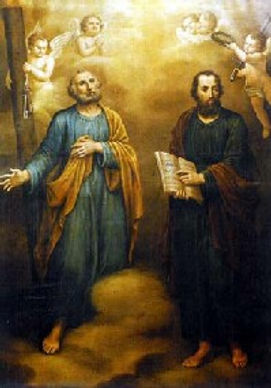 Their feast days are celebrated together on June 2. Perpetua was a well educated noblewoman of Carthage in North Africa, and the mother to a baby boy. Her mother was a Christian, and her father was a pagan who pleaded with his daughter to denounce Christ and avoid martyrdom. Perpetua was beheaded alongside Felicity, who gave birth to a baby just days before her death. Agatha pledged herself to Christ at a young age. When she was accused of being a Christian, Quintianus the judge heard her case. She was healed miraculously of wounds the soldiers inflicted on her. She prayed that God would receive her spirit and be merciful, and her soul flew heavenward as she slept in jail. Her tomb served as a refuge to Christians in times of distress. Lucy was martyred by Diocletian in 304. She was a noblewoman who took a vow of chastity. The judge ordered that she be dragged to a brothel, but no one could move her from the spot where she stood. Soldiers instead built a funeral pyre around her, but the flames didn’t harm the girl. They attempted to behead her, but Lucy lived long enough to receive last rites from a priest. Her name means lamb, and Agnes was gentle and kind. She was martyred at age thirteen and buried at her parent’s home. Her tomb became one of the church of Saint Agnes Outside the Walls, and her body resides underneath the altar. The Church celebrates her feast day on January 21. Cecilia married a pagan man named Valerian. Upon witnessing her love for the Lord, her husband and brother-in-law converted to the faith. Not long after her wedding, the pagan prefect of the city discovered Cecilia’s faith and ordered her to be suffocated in the bathroom of her own home in the year 177. When she survived, she was stabbed in the neck. Miraculously, she lived for three more days, counseling others and asking for her home to be made into a church. Anastasia was a widow and martyr. Her husband, Publius, was a pagan. After he died, she consecrated her life to God. She was martyred during the reign of Diocletian, and died on Christmas day in the year 304.